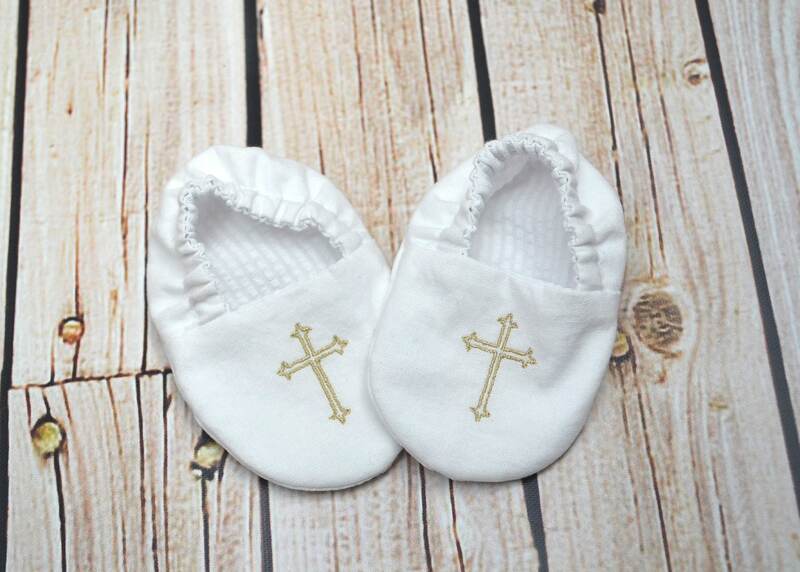 Many blessings to your new arrival! 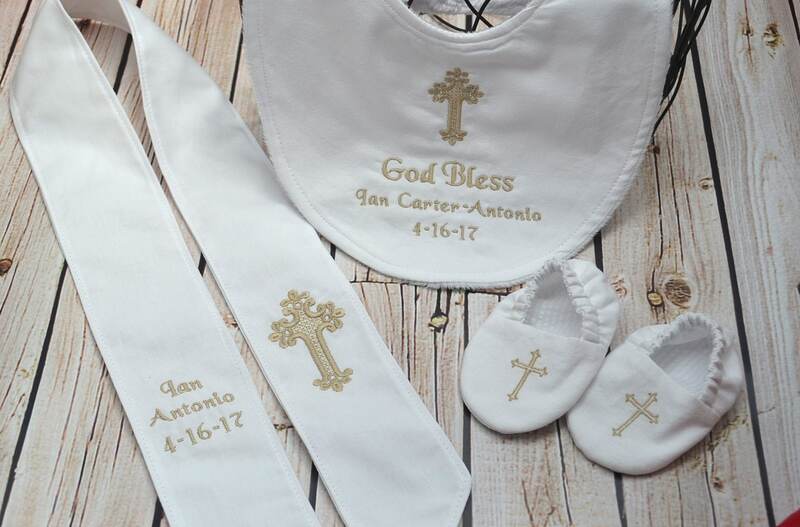 This collection of heirloom-quality accessories is perfect for your child's most blessed day and will be treasured as a keepsake for generations to come. Each handmade bib has a cotton front and snuggly minky backing with a Velcro fastener on the convenient back closure. 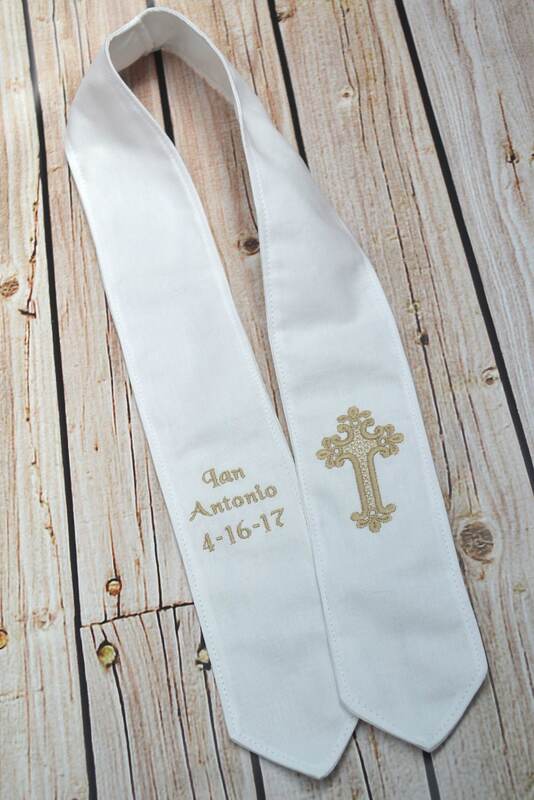 Set includes one bib embroidered with child's first, middle and/or last name, baptism date, and cross. 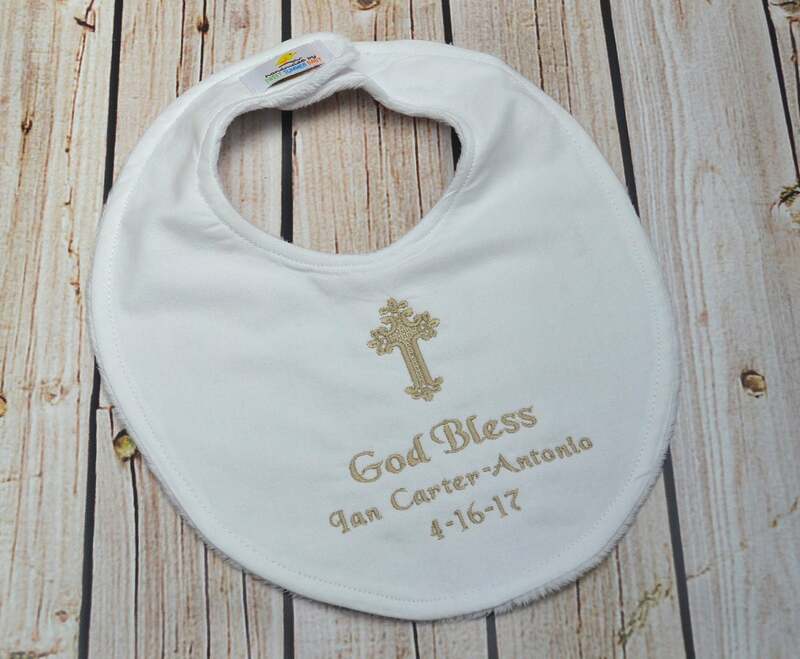 Bib measures 12" x 9"
IMPORTANT: Copy, paste, and complete the following list into the Note to Seller at checkout. 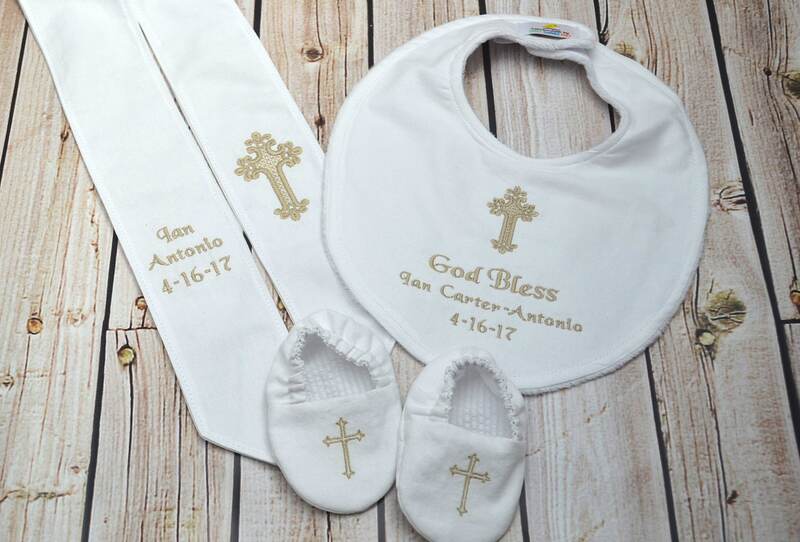 The bib was beautiful and everything arrived before schedule time. Wonderful.